The Alcázar is a 14th century Palace built by Pedro the Cruel. He was said to have received that appellation after playing host to a Moorish nobleman whose jewels he coveted. Pedro had the nobleman murdered and stole his jewels, the prize one of which is now part of the British Crown jewels. 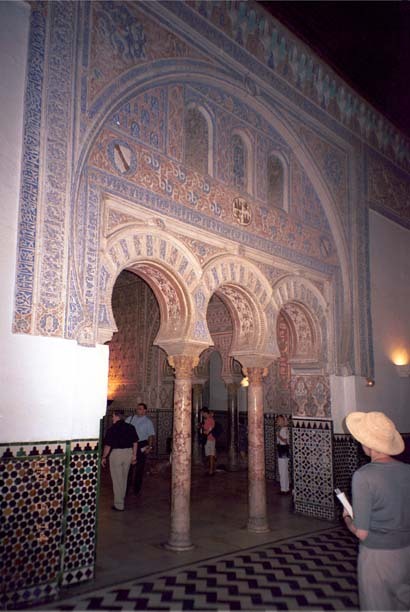 The interiors of the Alcázar Palace are covered with moorish tiles and decorative elements. 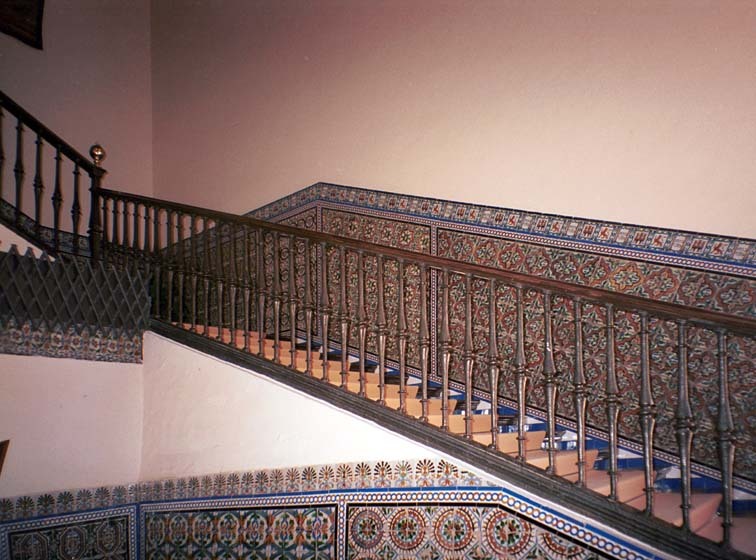 Even a simple stairwell is embellished with gorgeous tilework. 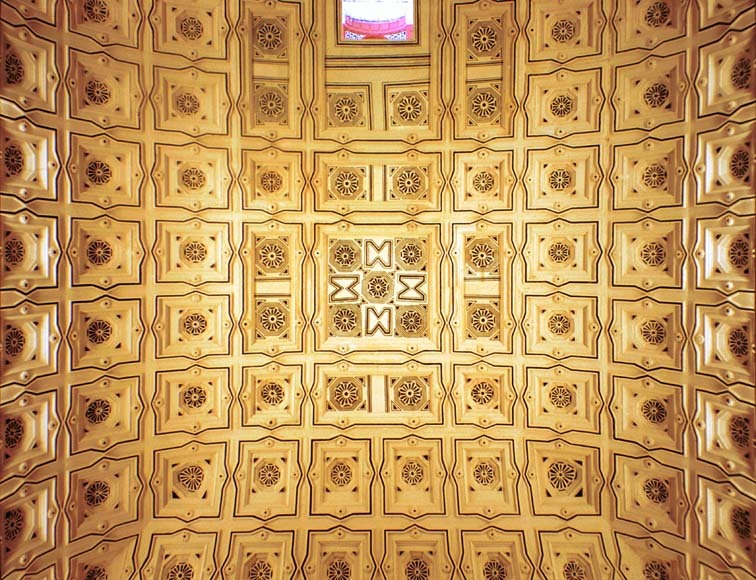 Ceilings of many of the rooms open to the public are beautifully decorated. 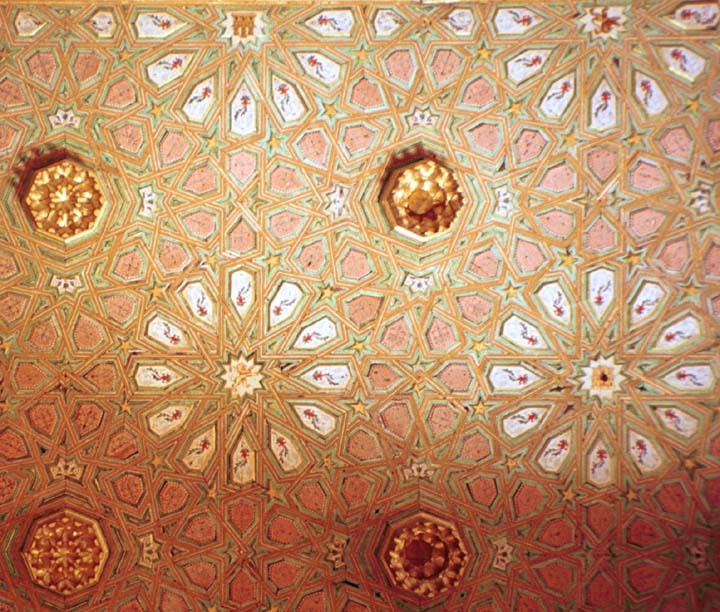 Here is a detail of another ceiling. This is one of many doorways in the Palace. 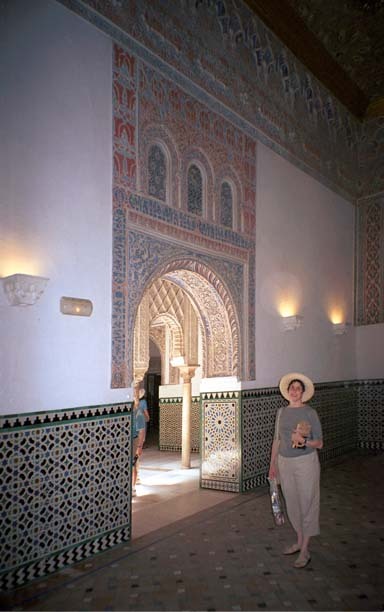 The carving around this doorway is reminiscent of the calligraphy surrounding arches in the Mesquita of Cordoba.